Football is in full force and no matter what type of fan you are, there’s an app to get you through the season. These are the apps that make a football habit a lot easier to manage and enjoy for every type of fan. This app allows you to enjoy the games you love watching, without having to plan every weekend around the schedule. 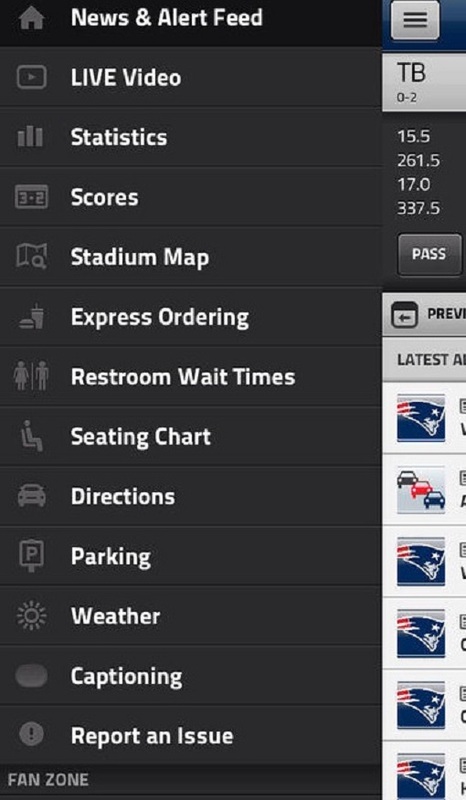 The app is free for Direct TV and NFL Sunday Ticket subscribers. More details about Direct TV: www.getdirecttv.org. This app makes it easy to watch the big plays of every game without spending hours in front of the television, or having to work your schedule around kickoff. 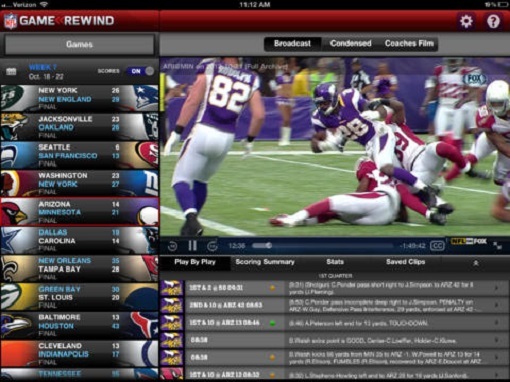 The NFL Game Rewind app itself is free but service requires a subscription. More details about NFL Game Rewind: www.gamerewind.nfl.com. There are apps available for managing your fantasy league on your phone, but none of these apps have an information feature that can rival the news and projections of RotoWire.com Fantasy News Center. The app features full stat lists and recommendations on the best players as well as the best up-and-coming players. 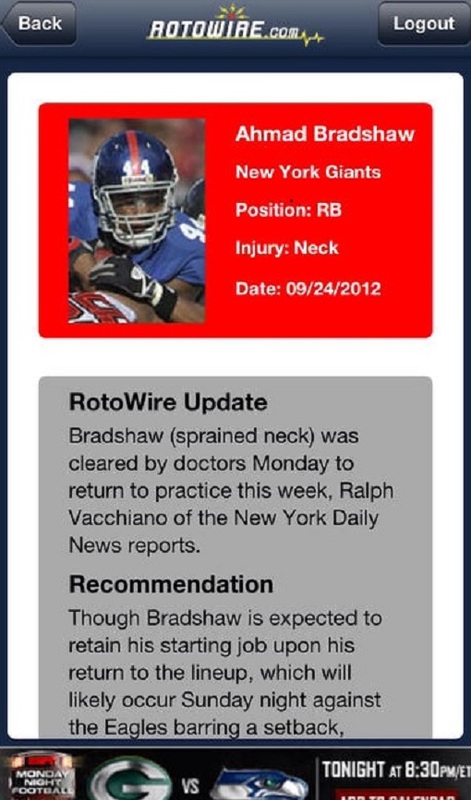 RotoWire.com offers the best advice in fantasy and the app brings the knowledge (and the power that comes with it) to your phone. Plus it’s not just for football. The app also features fantasy analysis for MLB, NBA, NHL, golf, racing, college football, college basketball, and soccer. For the Ultimate-Fan Fan: [Your Sports Team] App by YinzCam, Inc. If you really just want to cut the clutter and get right to the information that matters most to you, find your team’s official app. Most teams have multiple apps from ticket info and news to apparel, schedules, and trivia. But if you want the best team app, search for your team’s app by the developer YinzCam, Inc.
For other sports fans, YinzCam also features apps for teams in basketball, baseball, and hockey. If you catch yourself watching the game and thinking “I could do better than that,” this is the app to let you prove it. 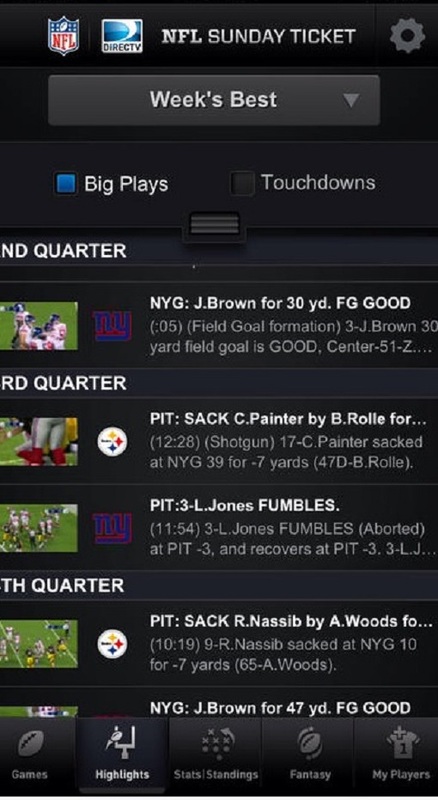 The NFL Pro app gaming experience allows you to manage any of the 32 NFL franchises. From hiring players to changing the roster and upgrading your stadium to increasing practice time, you control all the tools leading your team. Then you can put your work into play and start and watch a simulated season. Motion-capture technology makes the simulation graphics superior to other apps out there offering the same thing, and you can get the on-field feel with first-person camera angles. 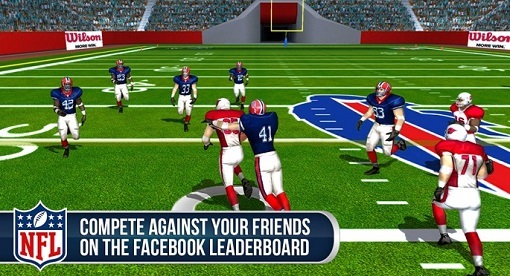 The NFL Pro app is available in iTunes named NFL Pro 2014 and Google Play refers to it as NFL Pro 2013. Both versions were updated between August and September of 2013 so they both appear to be the newest versions for their platforms. There is room for every type of fan in football and now the app world is catching up. These apps have something every fan can use to root for, manage, follow and track their favorite team. Morgan Sims is a writer and recent graduate who loves all things tech and social media. When she’s not writing or keeping up with current events she spends most of her time with her dog, cooking and staying active. Follow her @MorganSims00 and on G+.